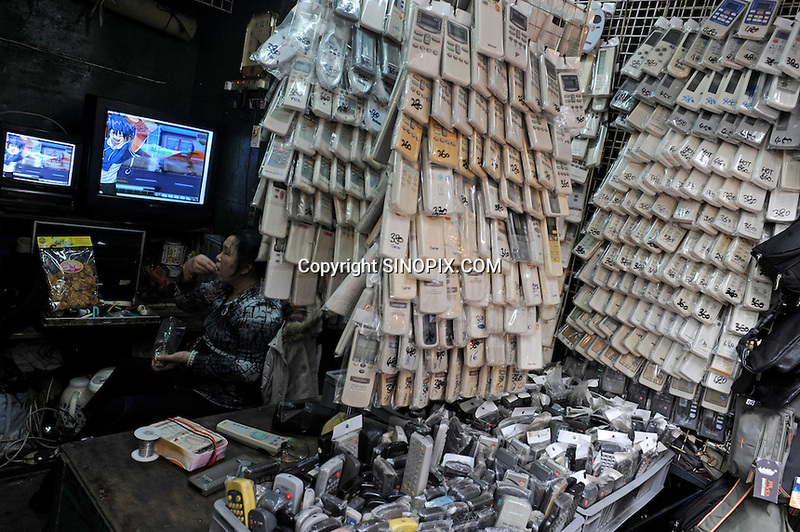 A stall sells remote control panel on Apliu Steet in Sham Shui Po district, Hong Kong. Apliu Street is famous for its electronics and accessories stalls. The vendors in this open-air street market sells a wide variety of products at reasonable prices, allowing individuals to trade second hand goods here..